My musings about names and naming traditions have me thinking about a little mystery. Among Bull researchers there has been some debate about Rebecca H. Bull’s middle name. Some think her middle name was Hogan, some think her middle name was Ho(l)mes. While writing my post of Oct 30 about names, it suddenly occurred to me that maybe they both belong to her. There is a “four name” tradition in my branch of the family. Maybe it originated in the earlier generations. As a child, I knew my great-grandmother as Cora Campbell Jordan, married name Moody. Turns out, and I didn’t know this until a few years ago, she was born Cora Southey Jordan. There was much debate about this in the family which was settled by consulting a great aunt who explained it all. She was named Southey after the English poet. Later in life she adopted the name Campbell, her father’s name, to honor her father. I briefly debated what I would do with this information and decided to acknowledge all of her names. I now list her as Cora Southey Campbell Jordan Moody. To shorten it for convenience would be bureaucratic and would not honor the story of her life. Some years ago I came across information about her father’s family that included many second middle names that I had never heard. I doubted the information at first. Then I tracked down the cemetery where many of that family are buried and found evidence that at least some had indeed had a second middle name. For instance, Aunt Ann was Margaret Ann Jordan. She was listed on someone else’s family group sheet as Margaret Ann Augustus Jordan. Her gravestone reads “M. A. A. Jordon” supporting the idea that her middle name was both Ann and Augustus. This still leaves the question of why her married name, Splawn, was left off (maybe they just ran out of room?). She died young, at the age of 37, and most likely the persons responsible for placing the original stone were her parents. I always say, if unanswered questions drive you crazy, be careful about wishing for answers. Every answer inevitably leads to more questions. However, I know the answer to one question. “What’s in a name?”…the story. So how am I going to prove or disprove my theory that maybe Rebecca is Rebecca Hogan Ho(l)mes Bull Scarborough Meek(s)? Mary Denson obituary, The Rosebud News, Rosebud, Texas, 8 December 1933. Mrs. Mary Jane Jordan Denson, mother of Mrs. D. V. Barry of this city, and one of the beloved pioneer women of Williamson county, passed away at the Lehman home in this city, Tuesday night after an illness of a few weeks’ duration. For the past four years, Mrs. Denson has made her home in this city, coming to be near her daughter, Mrs. Lehman during her illness, and since the passing of this daughter, she remained with Mrs. Barry, and during her residence here she endeared herself to all, with whom she has come in contact. She was a lovable character and truly one of God’s noblewomen. 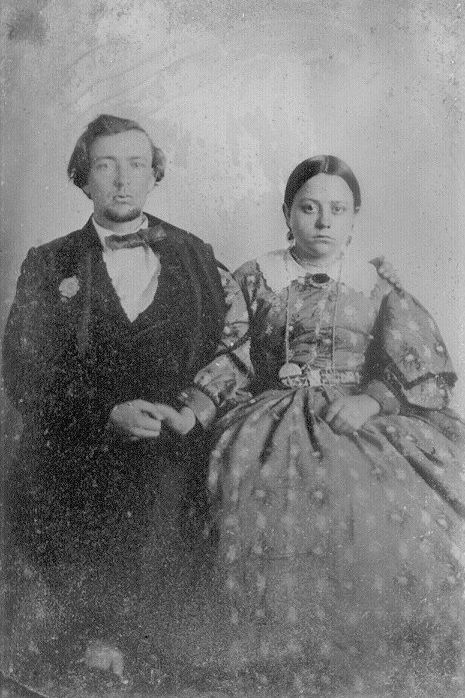 She was born September 28, 1845 in Alabama, and later moved to Arkansas where she was married to Mr. J. H. Denson in 1868. To this union nine children were born; six surviving, Mesdames W. E. Nix of Lawton, Oklahoma; Tell Nix of Plainview, P. E. Root of Granger, and Mr. W. B. Denson of Granger, J. J. Denson of Carlton, Oregon and Mrs. D. V. Barry of Rosebud. Mrs. Denson united with the Baptist church at the age of fourteen and lived true to its precepts. Hers was truly a life of love and service, and she lived daily at the feet of her Master, never faltering; never shirking in doing his will. For many, many years her bible has been her constant companion, and she loved to read it, and meditate on its wonderful revelations. Mrs. Denson lived an unusual active life and was happiest in the loving administrations to others. During the war, her patriotism was brought to bear most forcibly, and she spent a great deal of her time in sewing and caring for the Confederate soldiers. Her home was ever the center for social gatherings and within the confines of the old family home in Granger, many hospitalities can be recalled, where her genial manner and courtly air bade welcome to friends and acquaintances. The husband and companion passed away at the family home in Granger in 1916, where they were among the pioneers in that section of the state. Brief funeral services were conducted by Rev. T. H. Vaughn at the Lehman home Wednesday morning and later taken to the old home in Granger, where the body was laid to rest beside her companion. Funeral services were held in the Baptist church in Granger, with Rev Blailock assisting. Pall bearers were V. D. Nicholson, Van B. Harris, Joe Smilie, Tom Arnold, T. J. Hickersn, George Robertsn, Charlie Cllins and S. C. Souther. To the bereaved the News and its readers extend deep sympathy. Mary Denson obituary, Williamson County Sun, Georgetown, Texas, 8 December 1933. Granger, Dec. 6 – Funeral services were conducted here Wednesday afternoon for Mrs. J. H. Denson, 88, who died Tuesday at the home of her daughter, Mrs. Vance Berry in Rosebud. Mrs. Denson made her home in Granger for more than half a century and was one of the earliest settlers of this section. Four years ago she went to Rosebud to make her home with her daughter. Surviving Mrs. Denson are two sons, Jesse Denson of Portland, Ore., and W. R. Denson of Granger, and four daughters, Mrs. Walter Hicks of Oklahoma, Mrs. Vance Berry of Rosebud, Mrs. Tal Nicks of Granger. There are many grandchildren. Daniel Bull obituary, Plumas National Bulletin, Quincy, California, 29 November 1900, page 3, column 4. A telegram was received by the Masonic Lodge in this place Wednesday announcing the death in Oakland that morning of a well-known former citizen of Plumas, Daniel M. Bull. This news came as a great surprise to friends here, for none of them knew that he had been ill. The funeral took place today under the auspices of the Masonic fraternity. Daniel M. Bull was a native of Georgia and at the time of his death was 67 years old. He was an old-time citizen of California. In the early “seventies,” he was a wood contractor in the Truckee country and supplied many of the mines in Nevada with fuel and timbers. He returned to Plumas in the latter “seventies” and engaged in mining, particularly at Minerva Bar on the Middle Fork of the Feather River. Later, he devoted much attention to a “perpetual motion machine,” in which enterprise he had the financial support of many of our leading citizens. This, however, proved a failure. Most of Mr. Bull’s time during the past ten years has been spent at Verdi. He made an occasional visit to Plumas to look after some mining interests. In fact, he had but recently organized a company to develop a mining proposition near Quincy. Just prior to his death, he made a trip to Omaha on a business connected with this enterprise. Deceased was a man well known to the people of Plumas and to those of western Nevada. He possessed considerable native ability and a fund of originality, which, with his peculiar bent of mind and his wonderful versatility, always made him entertaining. Like the rest of mankind, he had his peculiarities, but he was a kind-hearted and generous friend. For many years, he was a member in good standing of Plumas Lodge, No. 60, F. & A. M.
I finally decided what I wanted for my birthday and since I was on my way to see the folks, I figured there was no time like the present…for presents. I wasn’t surprised that he was up for it. Dad’s a genealogist and family historian as well but we never discussed the subject before. Some people are leery of the swab. I went ahead and pointed out that if he had reservations about giving up his genetic material, he has a couple of male double cousins that should carry the same markers, paternal and maternal. No, he was game. So much so that the swabs came out immediately and the envelope was on its way to Houston before I hit the road to go home. It seems genetic genealogy can be as addicting as the regular kind. We haven’t seen the results and we have already started planning further tests. I love maps. I can’t wait. Randy Whited of Family Tree DNA gave a presentation to the Austin Genealogical Society last year. Here’s a sample of their reports.